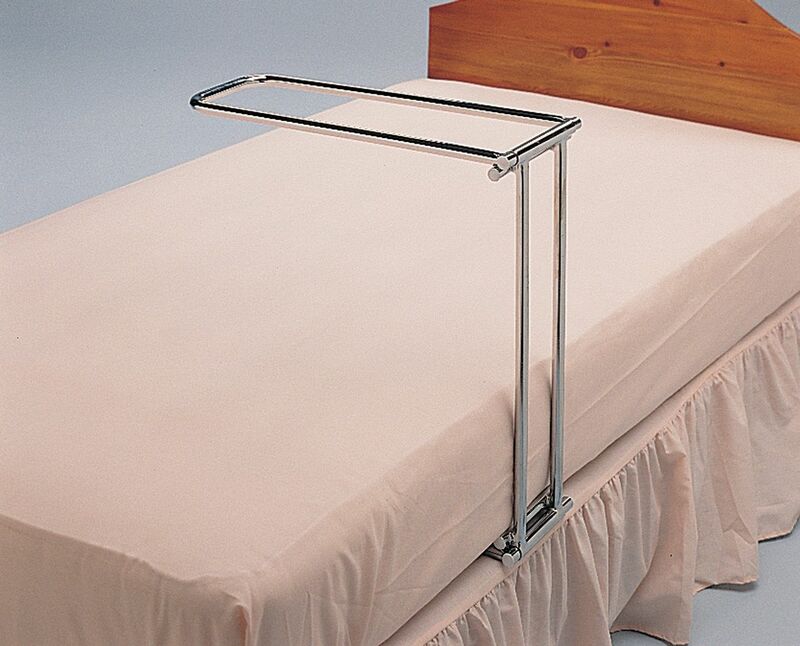 This bed cradle is made from chrome plated steel. It fits easily under the matress and folds flat for simple storage when not in use. The bed cradle supports the weight of bed clothes reducing contact with the user’s injury.